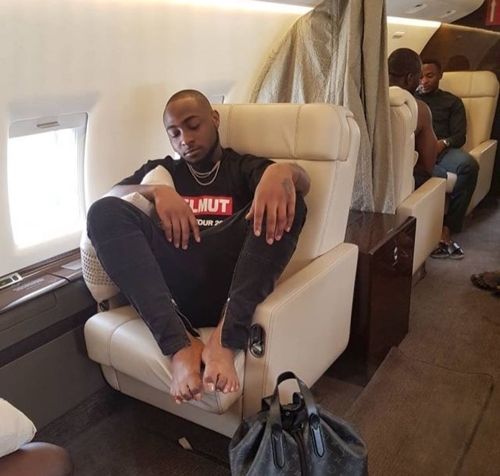 Davido TORI News had earlier reported that popular singer Davido broke the internet after he revealed through his social media accounts that he has acquired a multi-billion naira private jet. According to a new exclusive report, the billionaire’s son actually lied about acquiring the jet all by himself, rather it was actually a “fractional ownership” in which his financial commitment in the arrangement is meagre while the major financiers have chosen to play down their involvement to give Davido conceded prominence. Conceding prominence to Davido in the private jet ownership is part of a business deal to make Davido very bankable in the showbiz industry. This arrangement is to present Davido as a viable brand with a view to cornering lucrative deals from multinational businesses, countries and other foreign entities. The guys at the vanguard of the jet ownership narrative are said to have agreed on a sharing formula with Davido when the deals start coming in. The jet upon delivery would be deployed to Davido’s needs and those of others in need of it.